Far more impressive than author's debut! 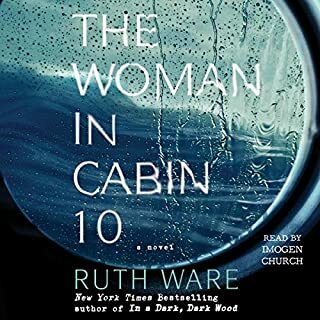 "The Woman in Cabin 10," was an audiobook I had chosen with serious deliberation as I had been largely disappointed by "In a Dark, Dark Wood." I find myself wishing that this novel had been Ware's debut! What a ride! I was constantly guessing, theorizing and re-evaluating my suspects again and again. As far as mysteries go, this is a stellar whodunit with a brilliant "Murder on the Orient Express" feel. Ware did her homework this time. Rather than going with the trendy unreliable (to the reader) narrator thing, she made Lo unreliable to everyone but the reader. I don't like to write spoiler reviews so I'll just highly recommend this to you if you enjoy Agatha Christie, Mary Kubica, Paula Hawkins, or Gillian Flynn. (Spoiler alert:) The reactions of the family to these disturbing scenarios seemed extremely unrealistic. The reluctance to communicate between family members and the refusal to wake others when things went bump in the night seemed less than plausible. I get that the presence in the house drew them in... made them do things they weren't quite aware of but all were in possession of their mental faculties most of the time. The sudden bursts of rough sexual acts caught me off guard and left a sleazy aftertaste. The ultimate climax of the book just didn't seem to follow the flow of the story. The almost constant repetition of certain bits of dialogue became obnoxious. "I'll kill you both..." and "take off your pants" were repeated so often I found myself rolling my eyes each time, thinking that the author must consider the reader/listener awfully inept at recalling plot points. Also... the writer's expressions could use a bit of diversity. Another expression that grew old entirely too fast was "persue/follow this line of questioning." No. I will always be an occasional listener of horror fiction. During dialogue, the narrator's tone never seemed to match the mood of the context. When a character cried out in panic, anger, lust, or fear the narrator sounded bland, bored, or conveying the exact opposite emotion. What character would you cut from The Haunted? Rick, the owner of the print shop. He was really only an occasional distraction who served little purpose in the overall plot, other than to convey Claire's distaste for Julian's friends. There were excellently written thrills and incredibly bizarre moments that made my nose pinch with revulsion and disgust. Bentley's capability to write gruesome or thrilling fiction is unquestioned. I was properly scared a number of times... but I was able to predict the ending about an hour and a half before the book's conclusion and found myself so disappointed to be proven right. I love Karen Marie Moning's Highlander series and Into the Dreaming was no exception. Granted, I was disappointed to realize that it was much shorter than her other Highlander works but in this case quality definitely trumped quantity. Listening to Into the Dreaming is a perfect way to pass a lazy evening or boring commute. Phil Gigante's narration is as wonderful as ever. 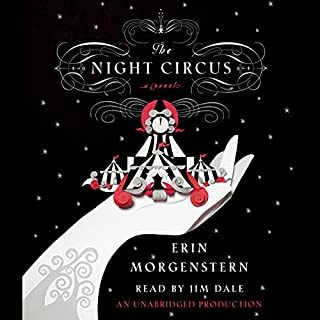 Erin Morgenstern's The Night Circus was an absolute treat! The story is captivating and daring, pushing the boundaries of magic and fantasy into a world of impossible and magical dreams. Celia and Marco's star-crossed love affair is a timeless theme, so eloquently played out as the illusionists crash together and cannot be pulled apart. Jim Dale does a fantastic narration and his character voices are distinct and endearing. I'm really going to be hard-pressed to find a book that will even come close to this. The Woman in Black is so darkly enchanting. I had seen trailers for the movie which provoked me to give the book a try. 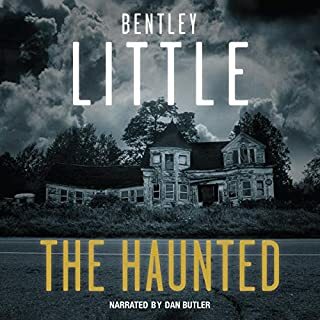 The story alone is profound, moving, and horrifying... but narrator, Paul Ansdell, read with such emotion and feeling that served to better the listener's understanding of Arthur Kipps' horror. I found myself delightfully nervous for Kipps as I listened. I would definitely and already have recommend this to everyone. 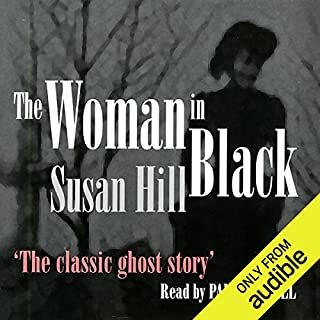 A first rate story by Susan Hill. I know I shall be searching for other books narrated by Ansdell.